How do I export or import suppliers and customers in Cashbook? If you have files that contain important business information about your suppliers and customers, there are ways to get that information into Cashbook without retyping it. 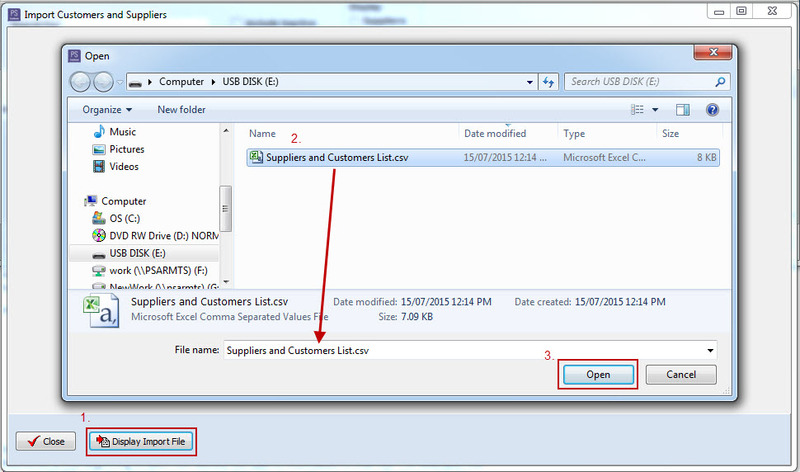 Similarly, you can also export your Cashbook Supplier and Customer information, for loading into another program. One common application for this feature is to copy a customer/supplier list in an existing company into a new one. Files to be imported must be in comma-separated-variable (csv) format. Click on the Setup > Suppliers and Customers menu option. Click on the OK button, to acknowledge the 'Export Complete' message. Although these 2 options are described separately below, most of the steps are the same for both options. It is only when you select the file to create that the options diverge. 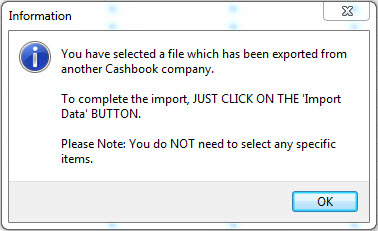 Cashbook will know if the format matches a Cashbook export, and will force you to choose option 1 below. Otherwise, you will have to use option 2 below. 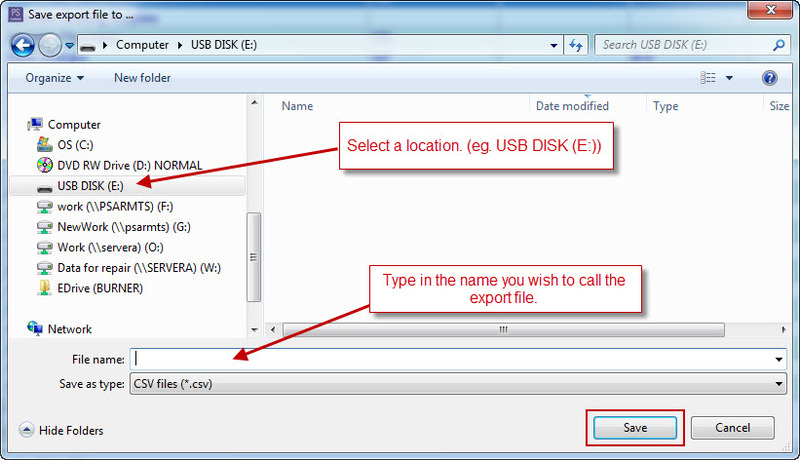 This option is relevant where you have (or someone else has) created an export file using the option (A) described above. You do not necessarily have to know that that is the case as Cashbook will be able to determine that from the format of the data in the file. Ensure that you have selected the company into which you wish to import the data. Click on the Display Import File button. and Data Source will be marked as 'Cashbook Export'. Click on the Import Data button. Click on OK button when Import is complete. Note that if the incoming description of a record matches a customer/supplier already on file, the data for that record will be ignored. Your file for importing into Cashbook must be in comma-separated-variable files (.csv) format. Address 1, Address 2, Town, State, Postcode. Contact Name, Contact Phone, Contact Facsimile, Contact Mobile, Contact Email. Delivery Address 1, Delivery Address 2, Delivery Town, Delivery State, Delivery Postcode. EFT Account No., EFT BSB, EFT Particular, EFT Payee Code. Invoice Class, Invoice Name, Invoice Note. The Data Source will be marked as 'Other'. 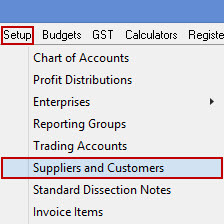 At the top of each column in the Import Customers and Suppliers window is a '<No Selection>' option. If you do not wish to import a specific column (or there is no other appropriate option in the dropdown list), leave the setting as '<No Selection>'. You must a column for Type and Name, as without these, Cashbook cannot assign a name to the entry, or tell whether the record represents a supplier or customer. Click Yes to confirmation message "Proceed with importing suppliers and customers?" Click Yes to information message "Import complete."